O. Henry Monte - O'Dowd Mfg. Co.
Mirage - Opti-Gone Associates, Inc. Magnetic Chinese Ring Illusion - Steve Dusheck, Jr. The Mental Mysteries and Other Writings of William W. Larsen Sr.
Crazy Calling Card Quickies - Joe Ricciardi, Jr.
25 Years Gone ... But Not Forgotten - Bill Larsen, Sr. 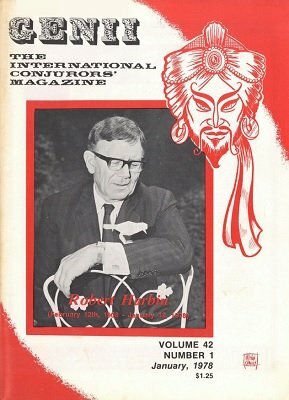 The Micky Hades "Magic Fun and Film Festival"
Case of Identity - Steve Dusheck, Jr.
Magicians Alliance of Eastern States 36th Annual Convention (Reading, PA) - Joseph Keppel, Jr.
Card Stab - Temple Magic Co. Impossible Matrix - Temple Magic Co. The Mental Writings of William Larsen, Sr.
Mini Rising Card - J & J Card Co.